The third major patch for FIFA 19 has gone live on all platforms. The previous updates to the game have focused on gameplay improvements and dealing with issues discovered in the early days of release. 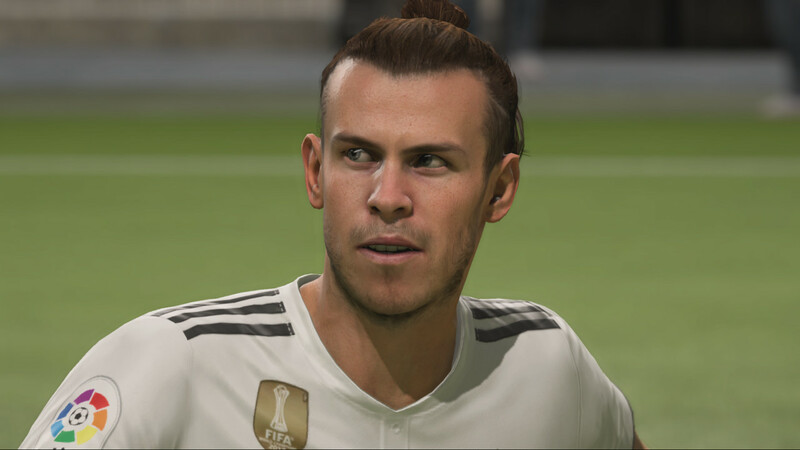 This new patch makes critical changes to shots along with the effect of defensive pressure, and delivers updated likenesses for over 50 individuals. There have been adjustments to the effectiveness of first time finesse shots where the incoming ball is coming from behind the shooting player. These kicks are now more likely to be impacted by error resulting in potentially less accuracy, speed and spin. The most significant impact of this adjustment will be seen when the ball is coming into the player from directly behind them (180 degrees), with a reduction in the impact of the change scaling depending on the angle of the ball coming into the player, with the change only impacting balls coming in from between 135 degrees up to 225 degrees. After the title update, more shots are being miss-hit, and the spread of the shots more varied. When the ball is coming in at a 135 degree angle, the difference before and after the title update is minimal, highlighting the comparison between the impact of the change when the ball is coming in at 180 degrees versus 135 degrees. In situations where a shooting player was receiving pressure from defending players that were in front of them, we identified that the impact of this pressure was not affecting the shooting player enough, resulting in a success rate of shooting that is not in line with what you would see on the pitch. After the title update, the effectiveness of the shots has been reduced, with more of them missing the target. In situations where a shooting player was receiving pressure from defending players that were behind them, we identified that the impact of this pressure was having too much effect on the shooting player, resulting in lower shooting success than expected. After the title update, more shots are on target and the overall effectiveness of shooting from that position has increased. We were seeing that, in situations where an attacking player was trying to take a shot in an easy situation, such as when they had no pressure from defending players, or when they were not off balance, that shots that had been successfully aimed into the net and that were targeting a location that was near to the post, were missing the net more often than they should. We have made some adjustments that has reduced the likelihood of these shots missing the net. After the title update, the spread of the shots is much tighter, increasing the effectiveness of taking a shot when in this situation. ♦Keepers were sometimes kicking the ball forward instead of picking it up. ♦Keepers were rarely not diving to intercept the ball after a cross was made into the box and the ball was close to the keeper. ♦Keepers were sometimes not reacting to a penalty kick that was shot directly at them or very near them. ♦Keepers were sometimes hitting a powered up first time lob pass too soft and low, potentially resulting in the opposing team getting the ball. ♦User controlled players were able to push the keeper out of the way in a free kick situation. ♦We have made changes to the Division Rivals pre-match flow in an effort to reduce the difficulty of some players finding a match. ♦Your team will now always be displayed on the left side, and your opponent will always be displayed on the right side, regardless of which team is Home or Away, on the following screens: Team Select, Kit Select, Match Preview. ♦On the Kit Select screen, both teams will now default to the kit assigned as their Home Kit. ♦When on the Team Management screen, your team’s crest will be displayed on the right side of the screen. Coming with this title update are 50 new starheads, 48 for players and 2 for managers. These will be usable in-game once a pair of server releases goes live, which is planned for shortly after the release of the title update on each platform.